The more control and visibility you have into your sales pipeline, the more revenue you’ll bring in. A sales pipeline encompasses every stage of your sales process. An opportunity moves from stage to stage of your pipeline based on concrete actions, which is usually represented visually in your CRM. Because sales processes differ from company to company (and even product to product), your sales pipeline should be unique and reflect the typical buyer’s journey. In addition, pipelines and forecasts have different purposes. Reps use their pipelines to keep track of where prospects are in the sales process and the appropriate actions they should take. Meanwhile, a forecast shows salespeople and sales managers how closely they’re trending to goal and how to prepare. If your forecast anticipates you’re going to miss your quota, you should double down on selling activities. If your forecast shows you’re on-track to make 150% of your quota, on the other hand, you’d want to scale back your efforts for this month and start laying the groundwork for an equally successful next month. According to sales educator and expert Jeff Hoffman, a wide-brim champagne glass is a better metaphor. You may have a ton of prospects entering the pipeline — but the vast majority should drop off after the qualification stage. After prospects have passed the critical point, most should become customers. 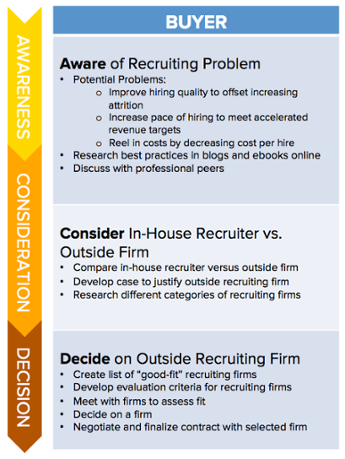 Pinpoint the common characteristics of opportunities that convert for every stage — both actions the rep takes (like sending a follow-up email) and prospect responses (agreeing to a demo). After all, the stages of the pipeline must match your prospect’s buying journey to effectively help you track progress and predict revenue. Proposal sent: The buyer reviews your proposal or contract. The more complex your product, the longer your sales cycle will take — and the more stages there may be. 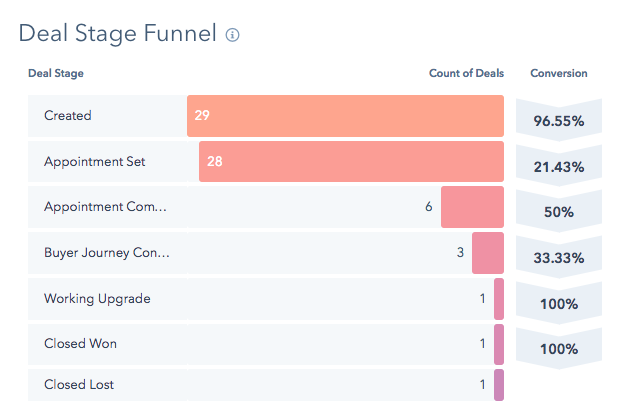 You should know how long prospects spend in each stage — both across the board and for closed/won deals. For example, maybe the average prospect spends two weeks in the demo stage, while prospects that eventually buy spend three weeks. You’re receiving a lot of business and will definitely hit your number this quarter. Unfortunately, you’ve been neglecting to prospect — which means next quarter, you’ll be faced with a dry pipeline. To combat this, Francis recommends making sure your sales pipeline is always stable or growing. If there’s a large number of deals in the negotiation and agreement pending stages — but few in the demo stage, and even fewer in the discovery stage — you should immediately start prospecting. Meanwhile, you might have 10 prospects in the “demo” stage — but there’s a 50% likelihood they’ll buy. 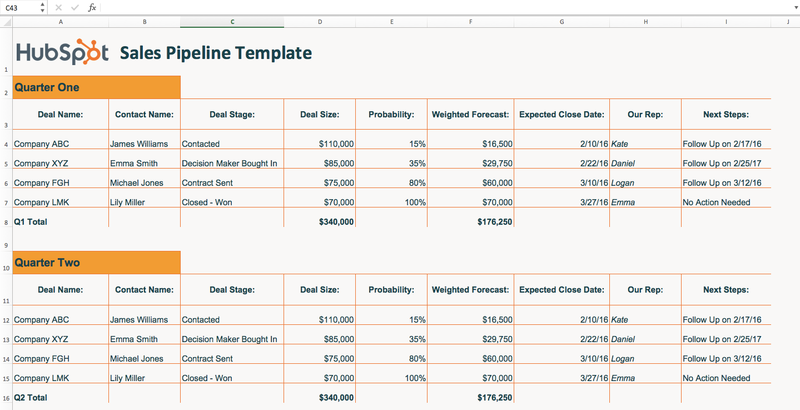 Periodically cleaning up your pipeline is key if you want an accurate sales forecast. That’s because most forecasts use an opportunity’s stage to determine how likely it is to close — not its age. Use your judgment to determine whether they should be removed. For example, if you’re working with your champion to get the deal through their unusually complex legal review, you wouldn’t want to take that opportunity out — it might be taking more time than normal, but there’s a strong chance it will close. It’s sometimes necessary to move opportunities backwards in the sales pipeline. Maybe you previously identified the key stakeholders within the target account — but since then, two have left the company. You’ll need to move this deal back into the qualification stage until you identify the new decision maker. Although it can be tempting to let these linger in your pipeline “just in case,” purge them. Not only will your sales forecast be more accurate — which will help you plan and make your sales manager happy — it’ll also be easier to focus on the deals you have a true chance of closing. Use these metrics to gauge the health of your sales pipeline — and from there, the health of your team, department, and/or business. To grow, your pipeline value must increase. Average deal size, the number of deals, and/or conversion rates must go up. Sales cycle: Identify the key steps that move prospects from stage to stage and make sure every member of your team is following those. Counterintuitively, “fast-tracking” an opportunity usually results in a longer sales cycle — the rep is forced to go back and make up for the qualification, discovery, and/or customized presentation she skipped, if she gets the chance at all. Sales pipeline management essentially means estimating how much money you’ll make from your current sales opportunities. If you don’t have these data points yet — or your go-to-market strategy is in flux, so your numbers are constantly changing — you can make informed guesses. To give you an idea, perhaps you just shifted upmarket. Based on preliminary research, early sales, and talking to other companies selling similar products, you might predict your new sales cycle will last five months. Luckily, a CRM can calculate these metrics for you. Not only can you compare your team’s current performance to previous months, quarters, or years, you can also analyze each of your salespeople individually. Perhaps one of your salespeople has an impressive connect-to-qualification rate but a poor close rate. He may need coaching on negotiation. Another salesperson, meanwhile, might struggle to prospect effectively. Help her identify and contact potential buyers. Each review should last approximately 30-60 minutes. You can either focus on the most important deals or review all opportunities in the beginning stages of the process — whatever works best for your team and structure. While you can manage your sales pipeline in an Excel spreadsheet, it’s far easier to use a CRM. The HubSpot CRM gives you an up-to-date view of your sales pipeline, multiple ways to sort your deals, automatic activity tracking (so you don’t need to manually log calls or emails), and detailed contact records for every lead. Master your sales pipeline, and you’ll master your results. You’ll be prepared for whatever comes your way — whether that’s a new competitor, a major opportunity, an industry shift, or an internal strategic change.